Small business owners may benefit from using business credit cards in multiple ways. When you have corporate cards, you can enjoy greater flexibility with your business spending while also making record-keeping much easier. With corporate cards, you can give your employees the ability to make purchases when they need to do so without having to waste time waiting for your signature on checks. Good cards also allow you to avoid the time involved with reimbursement forms while helping you to cut costs and to protect your bottom line. How are corporate cards beneficial? Today, people and businesses use plastic to make many different types of purchases. 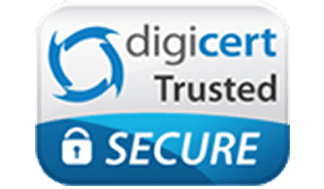 The availability of corporate cards offers businesses the flexibility to purchase items that they need without first having to go through the traditional check-approval process. Using corporate cards also helps business owners to separate their business expenses from their personal expenses, helping them with documentation for their taxes. With credit cards, businesses can also avoid the time involved with processing reimbursement forms for purchases that their employees make on their behalf. Despite the benefits that corporate cards offer, they also have several drawbacks. Because they are credit cards, approvals depend on the credit of the business owners or of the business. If a business is new or the owner has a problematic credit history, it may be difficult to gain approval. Business credit cards may also charge interest on their balances and assess annual fees. Credit cards may also be the targets of employee thefts and fraud. Employees who have access to them may make other purchases that are difficult to catch. 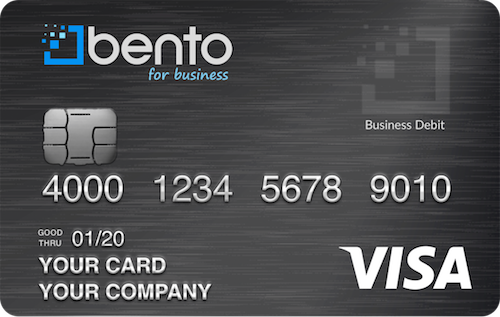 The business debit cards from Bento for Business are debit cards, meaning that approval is not based on the credit of the owners or of the businesses. Interest is not charged on the balances because the funds are the businesses’. Employees are not able to make withdrawals from the cards, and the owners are able to control the purchases that are made at the transaction level. Unauthorized purchases are denied immediately, helping to prevent losses from thefts and abuse. The cards are also from Visa®, allowing your employees to make purchases everywhere Visa® debit cards are accepted. How do the debit cards work? Business owners can get up to 10 cards for a low monthly cost. They can then assign cards to employees according to the types of purchases that they must make. An inventory manager might receive a card with which he or she can order new supplies while an office manager might receive a card to pay the utilities and lease. You can limit the total amount that your employees can spend by day, week or month. When you sign up, you fund your account and determine how much money to allocate to each card along with the types of allowed purchases. The cards are reloadable whenever you want. You can also view each card from your personal dashboard and turn cards on or off with a click of your mouse or a tap of your mobile device’s screen. These cards help you to separate your personal and business expenses while helping you control the spending that occurs. Funds held within Bento are FDIC insured to at least $250,000 through The Bancorp Bank; Member FDIC—offering you added peace of mind. Bento for Business offers free trials – you can sign up in just 60 seconds and start enjoying the benefits immediately. Sign up for a 60-day free trial today by completing our form or call us with your questions at 866.220.8455.